You will first notice the striking contrast of the white body against the black trim. Your eyes then settle on the machine finished alloy wheels and the glass black grille. If that doesn't do it for you, inside the vehicle you get all the luxuries you didn't know you wanted. 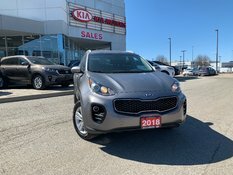 Heated steering, heated and cooled seats, blind spot detection, AWD, Harmon Kardon Premium Sound System with navigation, and an induction wireless phone charger! You don't even have to plug it in to charge your phone! 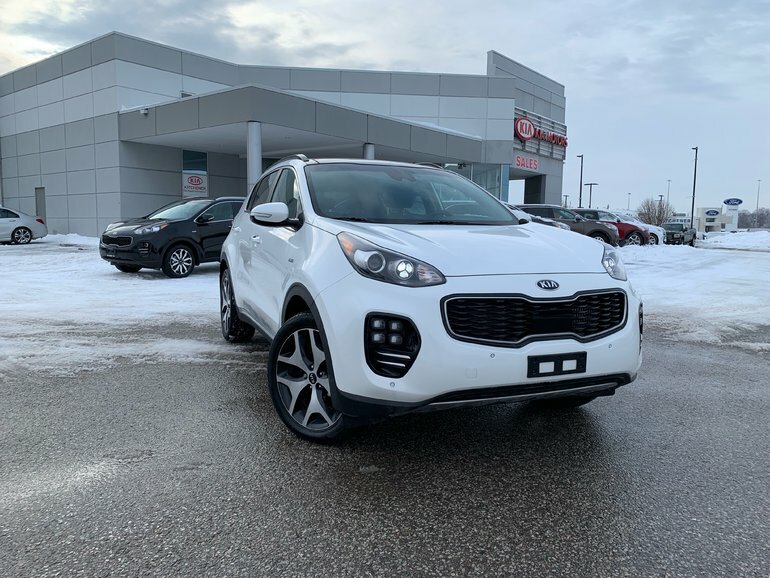 The Sportage is a Top Safety Pick and you'll certainly feel safe in it! 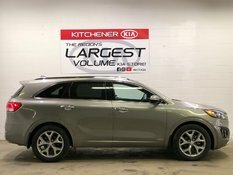 Dynamax Intelligent All-Wheel Drive, lane-departure warning, and front and rear parking sensors. 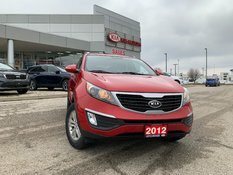 Don't wait as this is the very last of the 2018 models available! 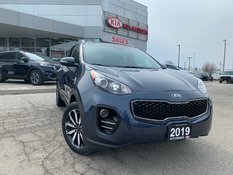 Interested by the 2018 Kia Sportage SX Turbo AWD LUXURY FEATURES AFFORDABLE PRICE PANORAMIC SUNROOF ?